← What’s black, white, and (maybe) red all over? …USP #10, that’s what! This cute little birthday cake is from the Etsy Shop of Lucy’s Postcard Quilts, check it out–she has some CUTE stuff! And, I like that this cake only has eight candles. Eight is good. I’m sticking to that. 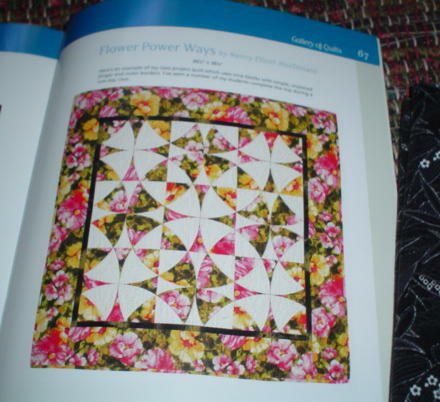 It seems every quilter I meet has a “dream” quilt to make, the ultimate quilting accomplishment, fo some it’s a Double Wedding Ring quilt, for some a Baltimore Album quilt, for other, a Dear Jane quilt. Me? It’s a Winding Ways quilt. 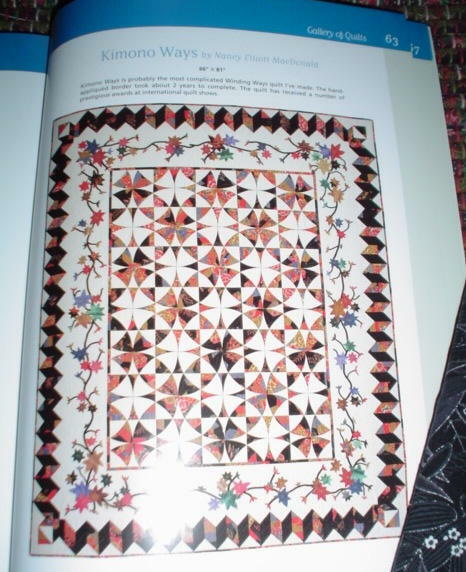 I’ve always loved this pattern, even before I started quilting. I love the endless options for creating shapes within the pattern based on color choice and placement, I love the “difficult simplicity” of it. You know what I mean, curved seams (difficult), only two templates (simple), and so on. I bought this book last year at some point. It’s subtitle is “A Practically Pinless Approach”. I’m hoping that translates to “a practically PAINLESS approach”! 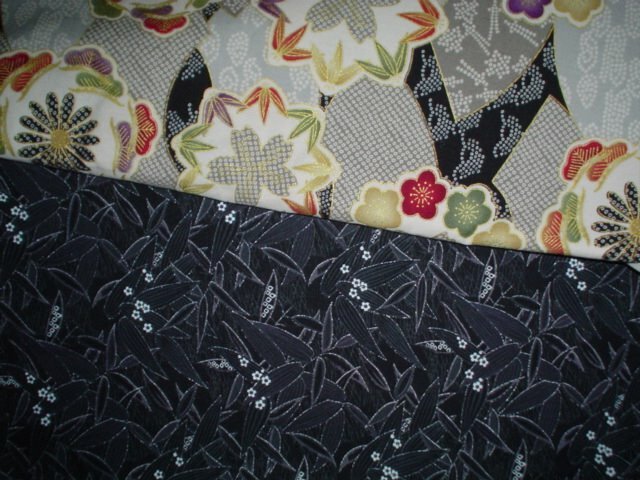 Then I found this great Asian fabric, and the black Asian piece to compliment it. 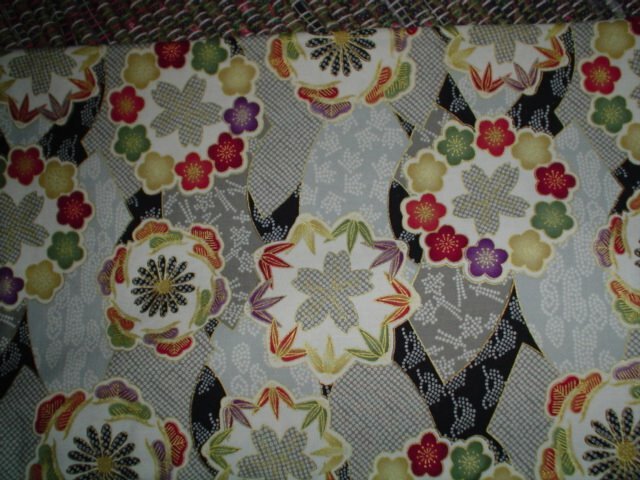 I don’t usually go for Asian quilting fabric, it’s pretty, it’s just not “me”. But this piece?! I could not resist. or this one: So there you have it, USP #11. 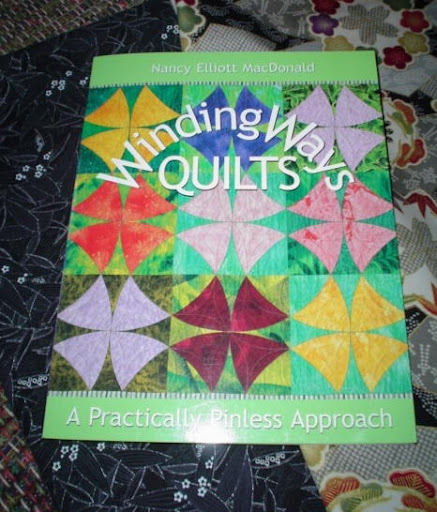 My Ultimate Challenge Quilt, the Winding Ways. The house we are staying in this weekend has wireless internet so I’m hoping to post from there. If not, I’ll post all my progress next week! Happy Birthday Doris!! !woo hoo….love the cake and the eight candles…..!! hope you have a great weekend away and enjoy some real cake…..I will be working on some not so real cakes….if you get my drift!